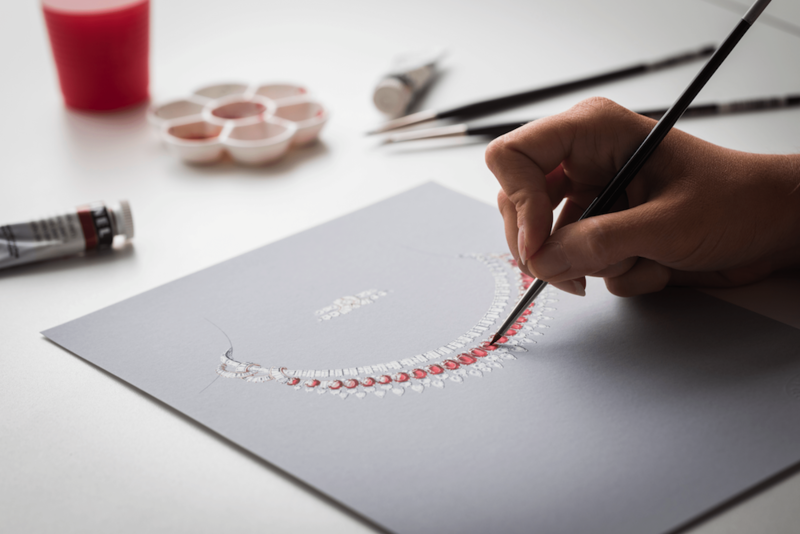 Last week, Bangkok received an honour of playing host to a global jewellery event by Van Cleef & Arpels. The famed French jewellery maison, much loved for its extraordinary designs, exquisite selection of precious stones and pioneering techniques, welcomed international press and their VIPs to “Treasure of Rubies” — a continuation of their previous showcase “Emeraude en Majesté” — a high jewellery collection dedicated to a single exceptional stone. 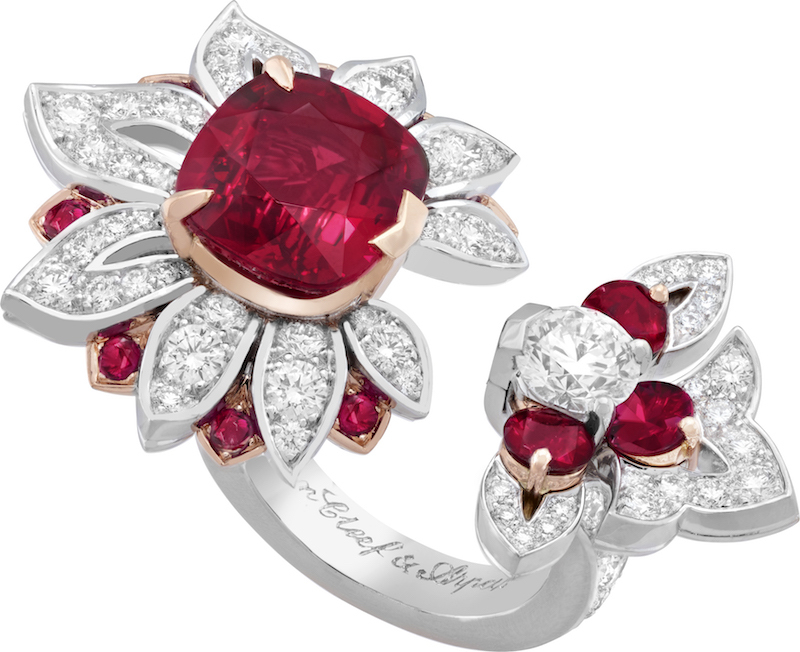 This time, Van Cleef & Arpels brought together more than 3,000 carats of certified rubies for the first time, in an ensemble of 60 unique creations. 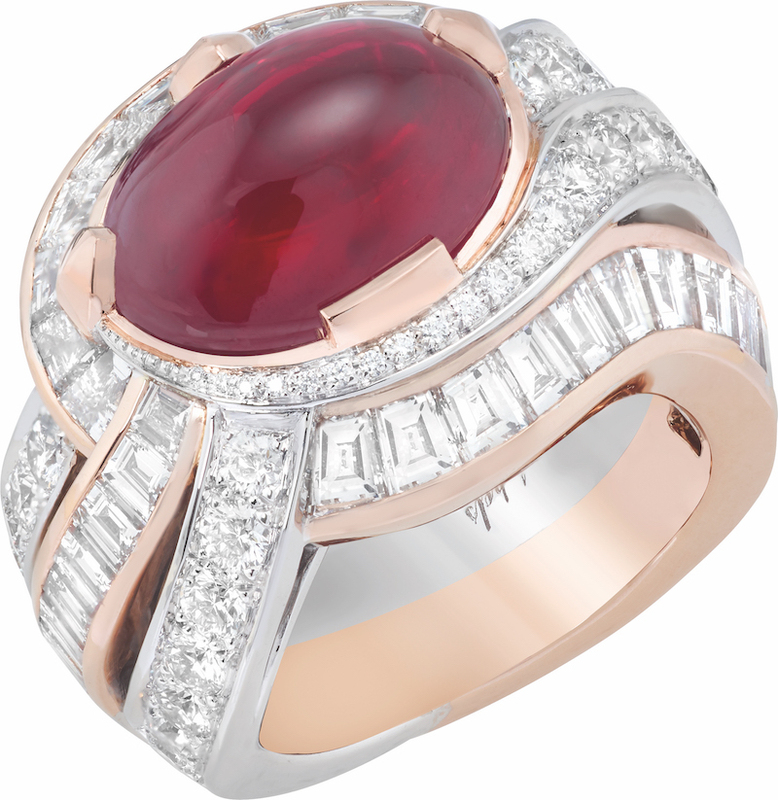 To choose rubies as their choice for the second journey isn’t something our of the norm. 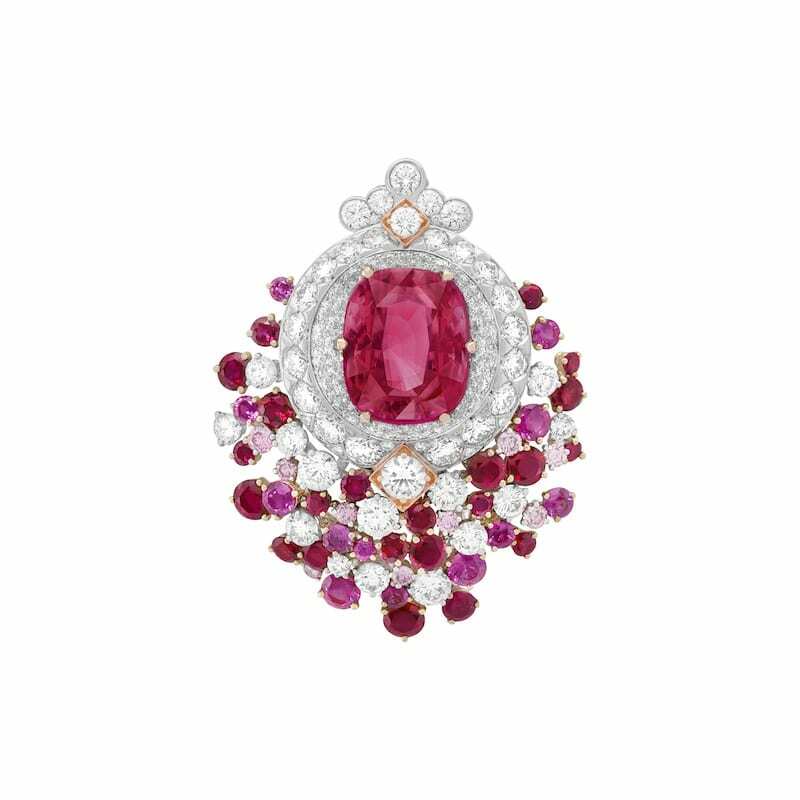 The maison has a long history with the stone dating back to 1982 when Jacques Arpels told a journalist that rubies were his favourite stones. 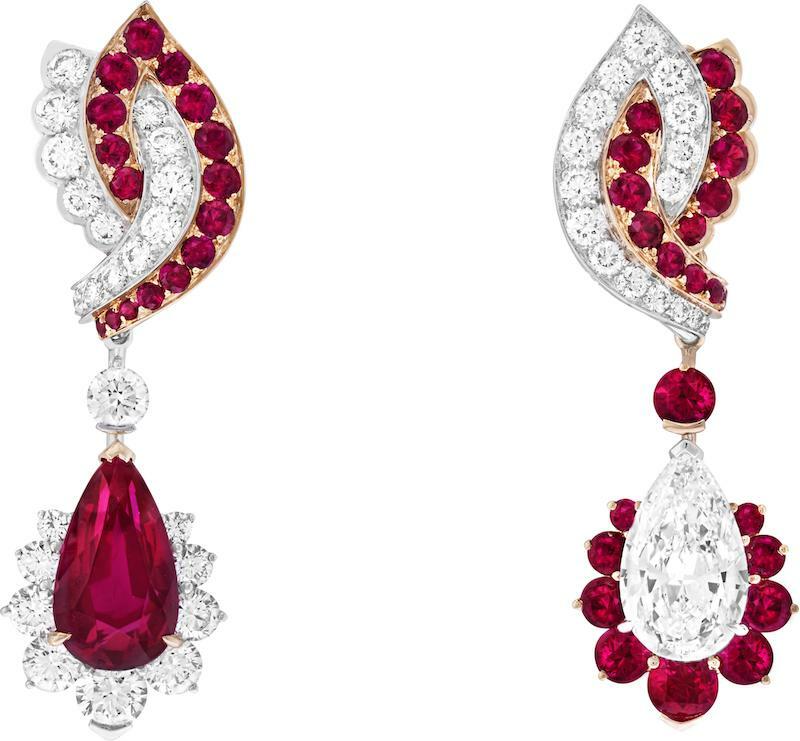 They were used for the first pieces in Mystery Set, and are immortalised in a number of the maison’s most iconic pieces such as the Peony clip (1937), once owned by Princess Faiza of Egypt, the Five Leaves clip owned by actress Maria Callas, the Duchess Neckless (2011) inspired by the original Cravate necklace Van Cleef & Arpels created for Duchess of Windsor in 1936 and the Vermillon earrings (2012) with 2 rubies weighing 13.83 and 13.33 carats. “Treasures of Rubies,” premiered during an exclusive dinner and the following showcase at Nai Lert Park Heritage Home, brings forth the maison’s stylistic signature including the art of transformation, asymmetry and the Mystery Set while introducing convertible pieces that can be worn multiple ways such as Rubis Impérial necklace and Elixir de Rubis, the latter offering 8 wearing options. 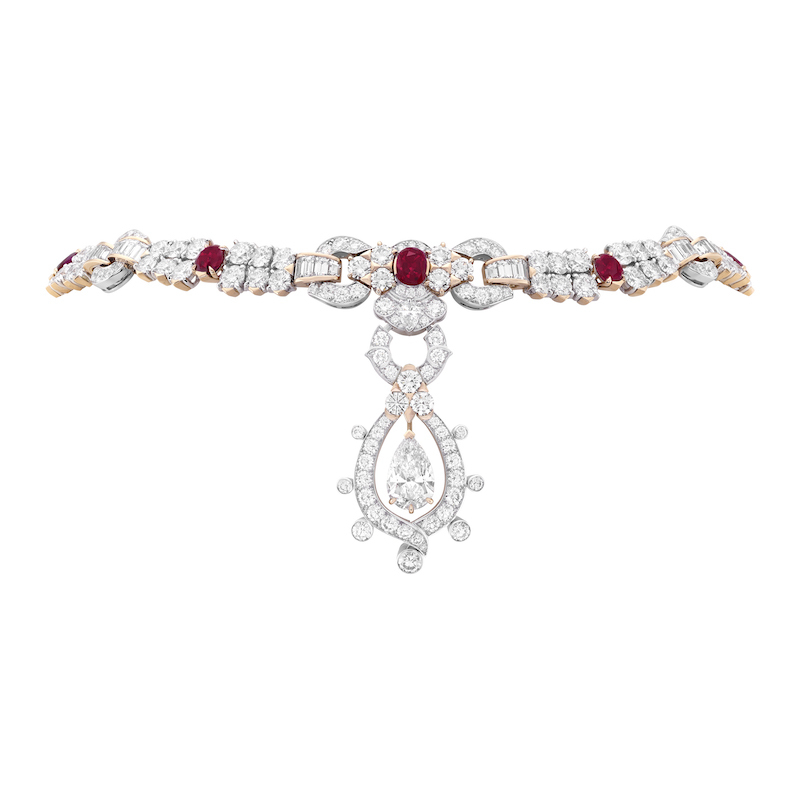 Van Cleef & Arpels’ asymmetric design is best manifested in the Kolam Between the Finger Ring, the Berunda Bracelet, and the Rivières Necklace. 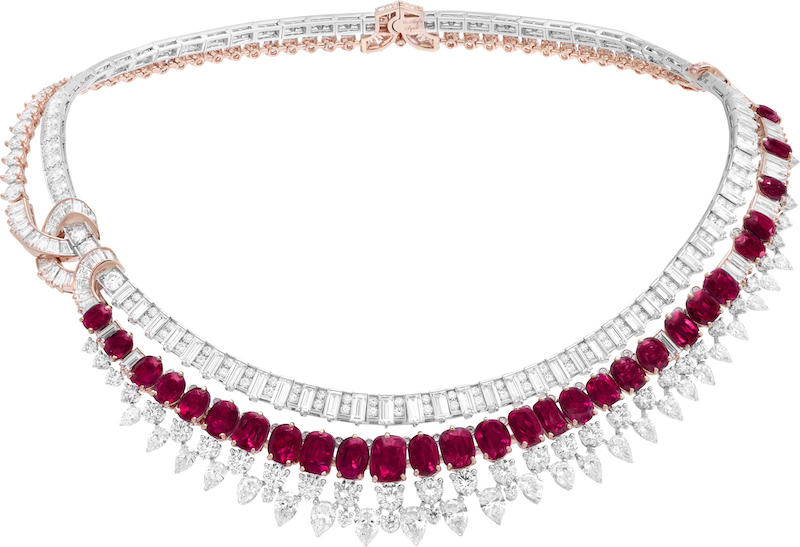 Van Cleef’s much celebrated Mystery Set technique brings force the lush sparkles and gleam of rubies in the Amour Sacré clip. 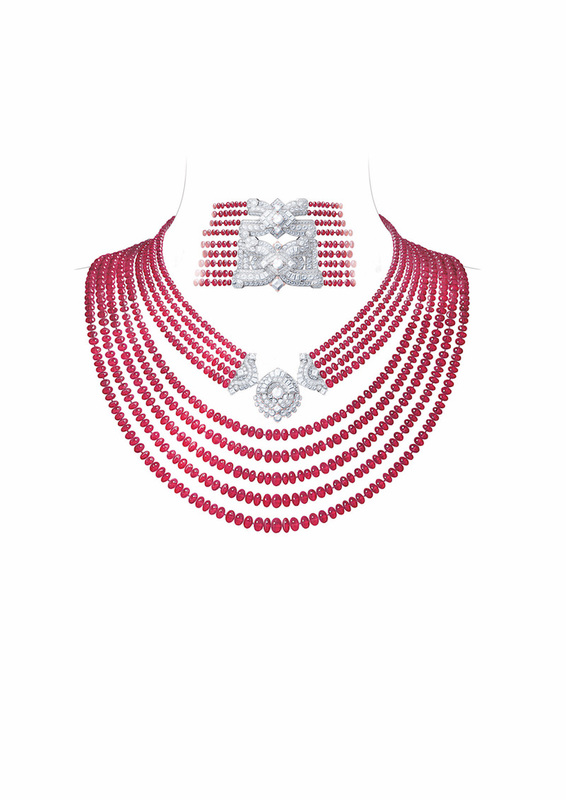 Check out our gallery to view the collection and learn more about Van Cleef & Arpels High Jewellery collection at www.vancleefarpels.com.